William Simons (born 17 November 1940) is a Welsh born actor best known for his role as PC Alf Ventress in Heartbeat a role he played for 18 years from 1992 – 2010. Simons was born in Swansea where his father was stationed in the Second World War and he grew up in South Wales until the family moved to North London. 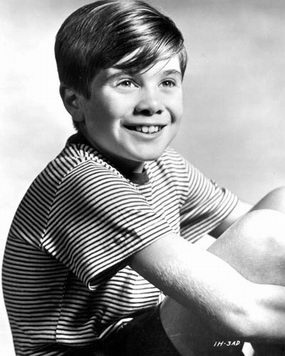 He started acting as a child, appearing in the films No Place for Jennifer (1950), Where No Vultures Fly (1951) and West of Zanzibar (1954). He then suffered from severe acne and worked as a stage manager for four years before deciding to become an adult actor. William as a boy actor. He played PC Ventress for the entire 18-year run of Heartbeat. Although playing a heavy smoker, Simons is a non-smoker in real life and was given herbal cigarettes to play the part. The character is a policeman that lacks in the physical side but makes up for that with his 'local knowledge'. Ventress is the longest serving officer for much of the drama and often in a role as acting sergeant when Blaketon, Craddock and Merton are absent. In later series of the drama, Ventress is forced to retire from the force but continues as a civilian member of the team and also helps Oscar Blaketon (Derek Fowlds) in a private investigatory role. 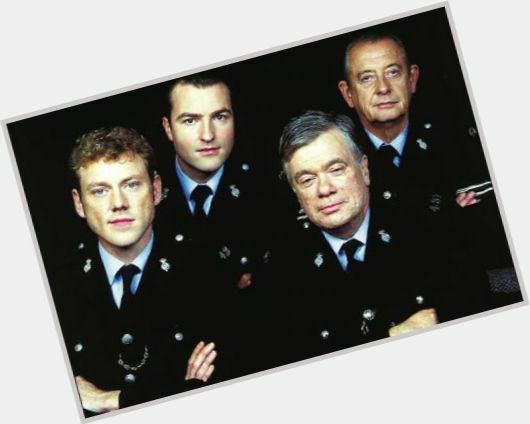 Simons, front right, with fellow actors Nick Berry, Derek Fowlds and Mark Jordon, in Heartbeat. Other roles have included recurring parts in Crown Court as the barrister Martin O'Connor QC, The Inspector Alleyn Mysteries as Inspector Fox, Cribb as Constable Thackeray and the 1977 Doctor Who story The Sun Makers as Mandrel. He has also appeared in Auf Wiedersehen Pet, Coronation Street, The Sweeney, Minder, Dempsey & Makepeace, Last of the Summer Wine, The Darling Buds of May, Wish Me Luck, Bergerac, Casualty and Lovejoy. He is a patron of the charity Changing Faces which helps people who have suffered disfigurements. ^ a b c Padman, Tony (7 September 2013). "Whatever happened to Heartbeats PC Alf Ventress". The Sunday Express. Retrieved 10 August 2014. This page was last edited on 1 January 2019, at 02:17 (UTC).